Every once in a while I receive a One Shots email that makes one of my eyebrows climb super-high while the other one dives down my forehead. Then I have to go lie down for a while and call a loved one to talk through the confusing image that I saw. This is one such screenshot. Pretty lights. Swirly colors. You like? Be nice. Read on! Apart from abstract art particle effects, I continue to be barraged by The Secret World players sending me pictures of their new hogs. I don’t blame them for their enthusiasm; we’ve been waiting a long time to get mounts in this game after all. 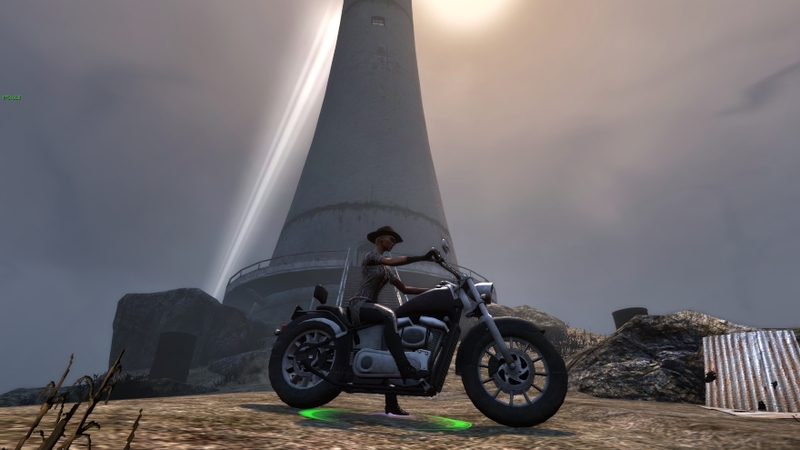 This motorcycle pic is from reader Estranged, who sets it against the backdrop of the lighthouse on the Savage Coast. It’s kind of a war between The Secret World and Final Fantasy XIV in my inbox as of late, and I’m genuinely curious to see which faction will end up barraging me the most. No, that’s not an invit… nevermind, you’re already sending more in. Oh, go ahead. Hey folks? Never, ever hesitate to send me in screenshots of your personal housing. The rest of the game is the same for everyone, but your house is where your tastes and creativity can be expressed. I love seeing that! 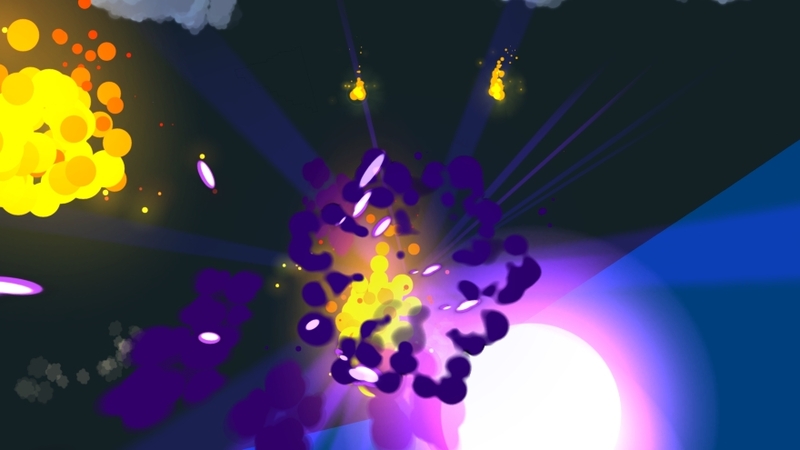 Need a screenshot challenge to keep you busy? Sure you do! This week, send me in a pic or two of your favorite MMO bosses and a story behind your encounter with that villain! 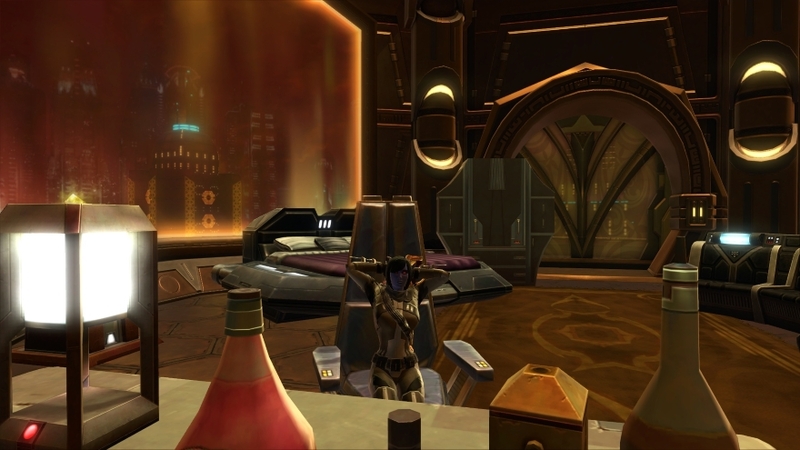 Previous articleThe Daily Grind: What’s a minimum play session for you? Siphaed Ghostmourn Yeah I agree it is a really cool map, hopefully HoT changes things a bit. I bought a moto-bike yesterday too! A dirt bike would have fit sooooooo much better than this thing, but beggars can’t be choosers. The serenity of the WoW Horde garrison herb garden. ManastuUtakata DigitalQ ikr >.< cuuute! Love me some art within art via in game screens. ManastuUtakata I need a good distraction for what will undoubtedly be a horrible work week. Gonna give Tera a go solely based on all the good pics I have seen in this column. ManastuUtakata Zulika_Mi_Nam Odds were like 13-14 to one – although anyone can get caught it was mostly a forgone conclusion. After the classless suicide comment, I was glad and surprised to see the Brazilians fans cheer more for Ronda than their own countrywoman -I hope it Bethe feel worse -yes I am petty like that. BalsBigBrother Zulika_Mi_Nam I think she will be done with MMA and onto more acting stuff before there is any competition for her. There is a mega payday fight if that steroid beast Cyborg can make R3’s weight class of 135lbs though – bossfight. Claudia Gadelha vs Joanna Jedrzejczyk (115lb champ) will be the next sure thing good women’s fight. Joanna has the best hands of any woman at this point and they had a close match before. 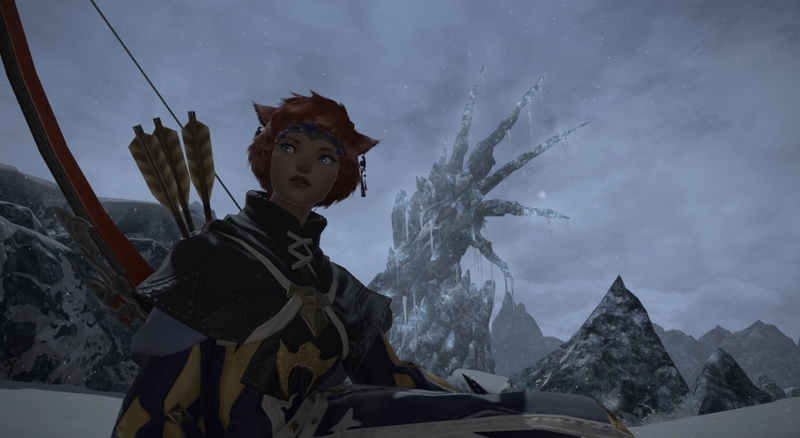 The new graphics options for GW in the Edge of the Mists, huh? Great shots today :) (As always I love this column.) Finishing up my Guardians story line before I report back to the IT room tomorrow morning…I had a FREE week of wow in my inbox today but I’m fighting the urge!